What do you want to do today? Join our lovely community group! 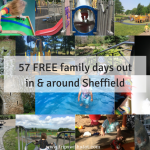 57 FREE days out in Sheffield, South Yorkshire and Surrounding areas! 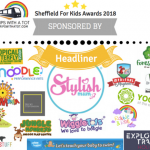 100+ Things To Do For Sheffield Families!! 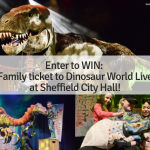 Best Things To Do In Sheffield City Centre with kids! 4 Reasons Why You’ll Love Family Friendly Eating at Couch! 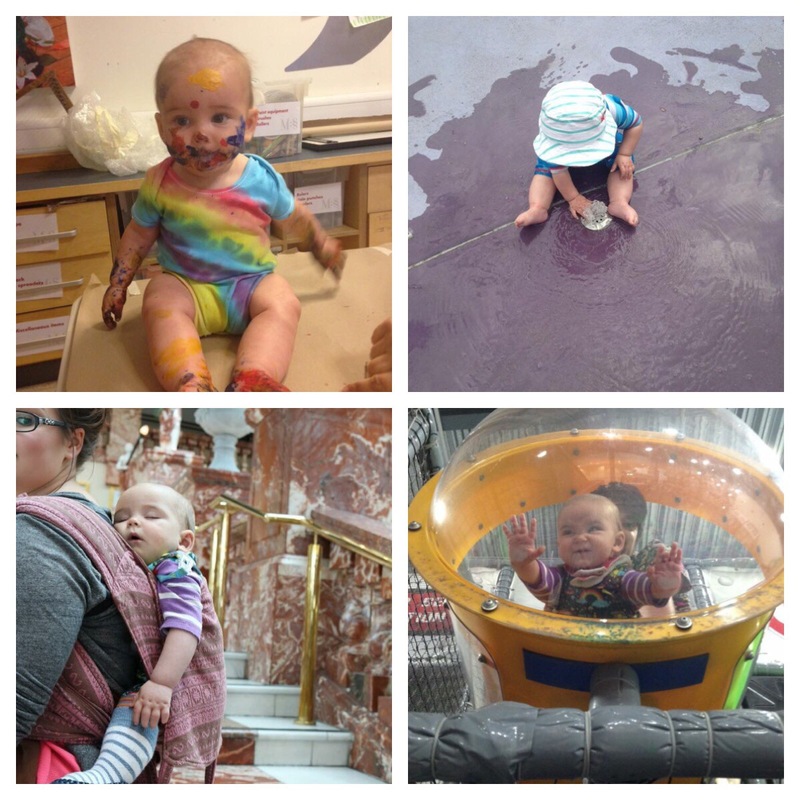 Leeds City Museum – Free Toddler Friendly Museum! Medieval Mayhem Soft Play Centre, Sheffield! new Playmania, Handsworth in Sheffield! 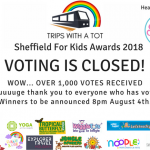 Highfield Adventure Playground in Sheffield? Historic & Beautiful; National Trust family day out at Hardwick Hall! A day of adventures in the beautiful, old village of Castleton! What we did: 4 days in London & Nottingham! 20+ Doggy Friendly Days Out in Sheffield! 4 days in London & Nottingham! 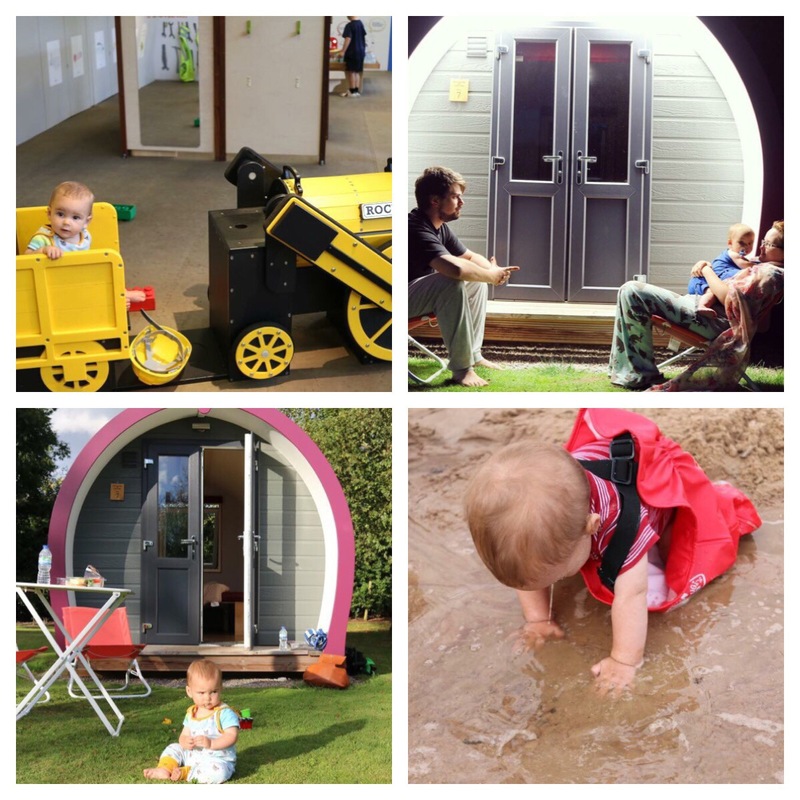 Family Glamping Trip: 3 Reasons Why You Have To Try It This Year! Hull: 2 days of fun & 3 FREE museums! 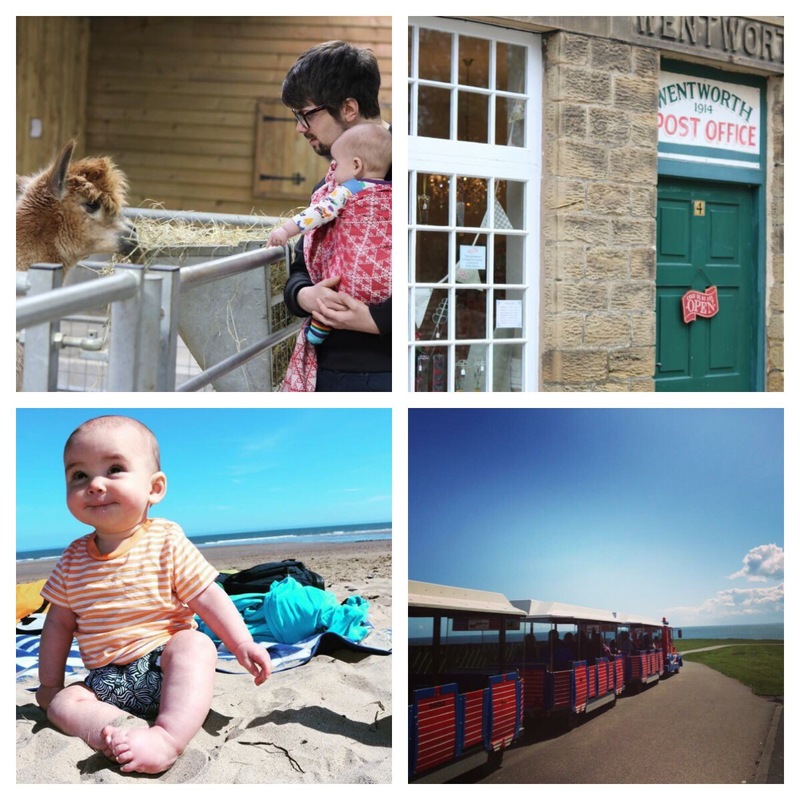 Mega list of days out, lots of ideas here for things to do with your family. This is our year through trips using only public transport. I can’t possibly begin to write/review all the places we have been in 2016. I wish I had started this blog and documented all of it! This post is going to be a mammoth one and I’m only choosing bits and pieces from the year! Let’s get started. 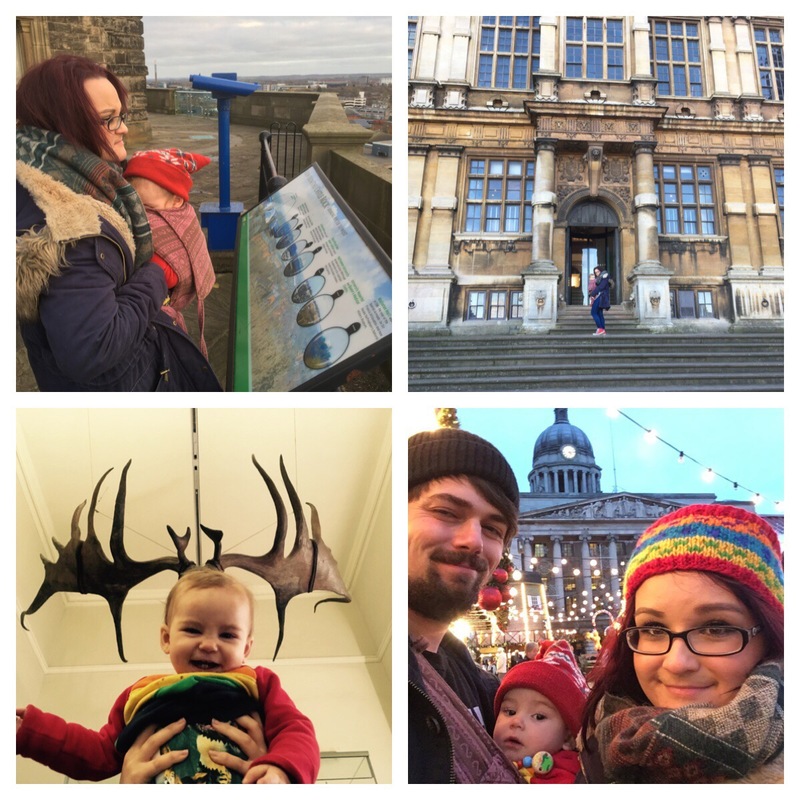 We went to Nottingham at the beginning of February which we love as it has so much to do for families. I recommend Nottingham Castle, kitty cafe and taking a bus to Sherwood Forest! 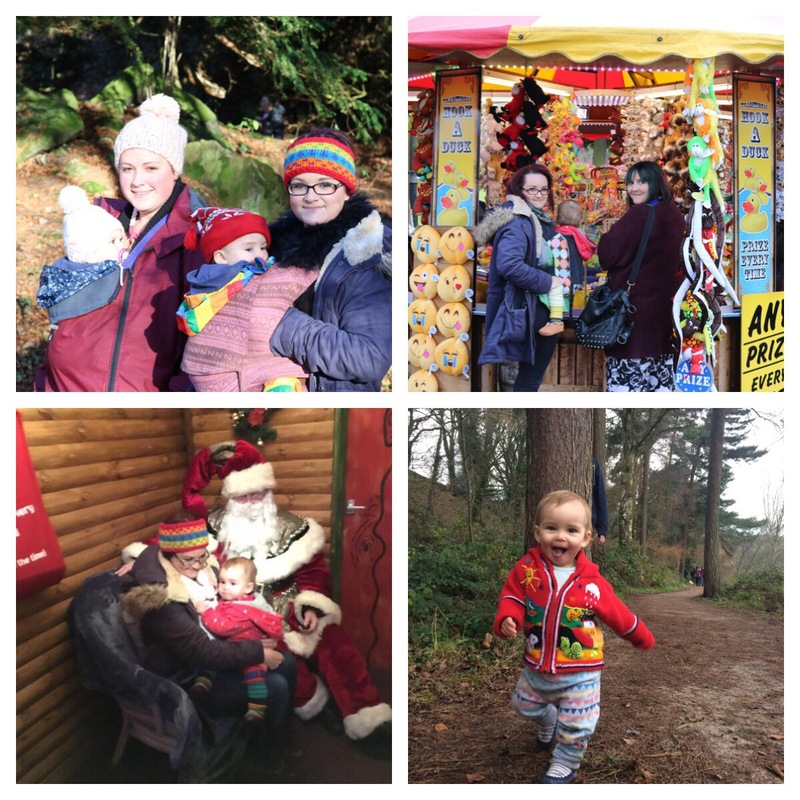 We go to Nottingham a few times a year and have since be back with Eric and now he is a toddler he is able to get more out of it; we love Wollaton Hall, Wheelgate Park, White Post Farm and in the summer there is a fab pop-up beach and sand pit in the city centre for Nottingham by-the-sea. At the end of February we went to London for a week. It was a really special time; very nostalgic to return back there as both me and ollie have lived in London previously as students and working. It was amazing to go back as a family. We had a truly great time and I can’t put it into words how much fun we had. Me and Ollie revisited all our favourite galleries, museums and parks, but also new things we hadn’t done before such as Battersea zoo, princess Diana memorial playground and the Science Museum “Garden” for kids. See my london guide wth photos here. 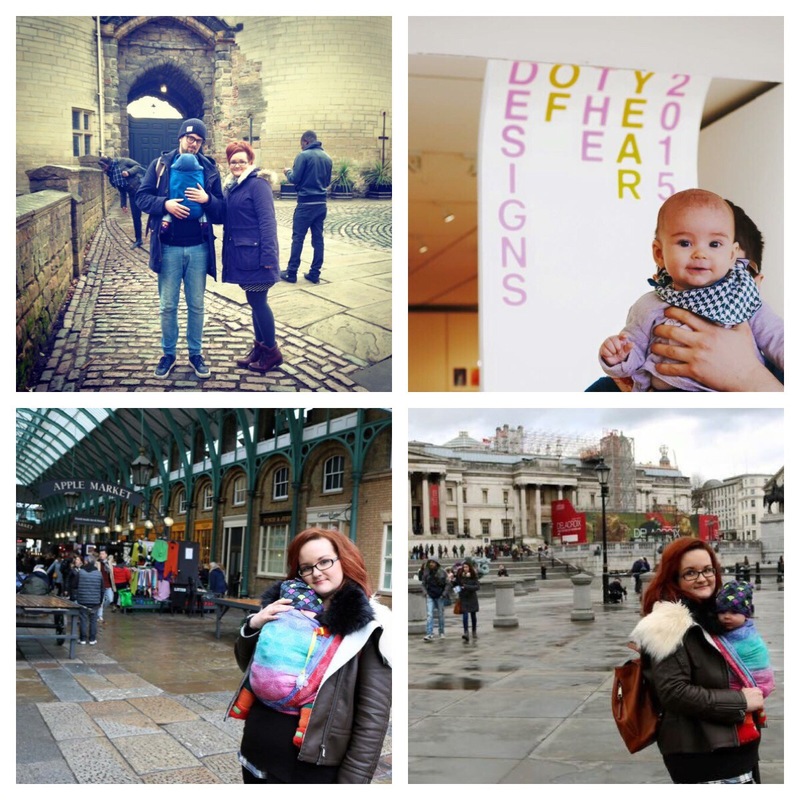 We stayed in a cheap airbnb in Kensington and used slings for convenience to get around which is highly recommended from me! March saw us entering spring and Eric started to take more interest in nature, so we started going to local parks more often. Endcliffe park, Forge Dam and Botanical gardens (see my video) are my favourites in Sheffield. You can read about why we go often here. I really enjoyed exploring the Peak District and walks at Longshaw estate. 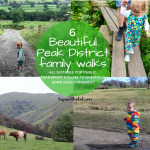 See 6 of my favourite walks here. March included a trip with my mum to Yorkshire wildlife park for Mother’s Day which is a fantastic zoo in Doncaster. Good value for money and I made a mental note to return when Eric was older for the playgrounds! We went to Tropical butterfly house with family, too, which was lovely. Even though Eric slept for most of it as he was very young, we- the adults- had a great day! And the Tropical butterfly house later in the year became one of my favourite places to visit: I highly recommend it to everyone I know for all ages. 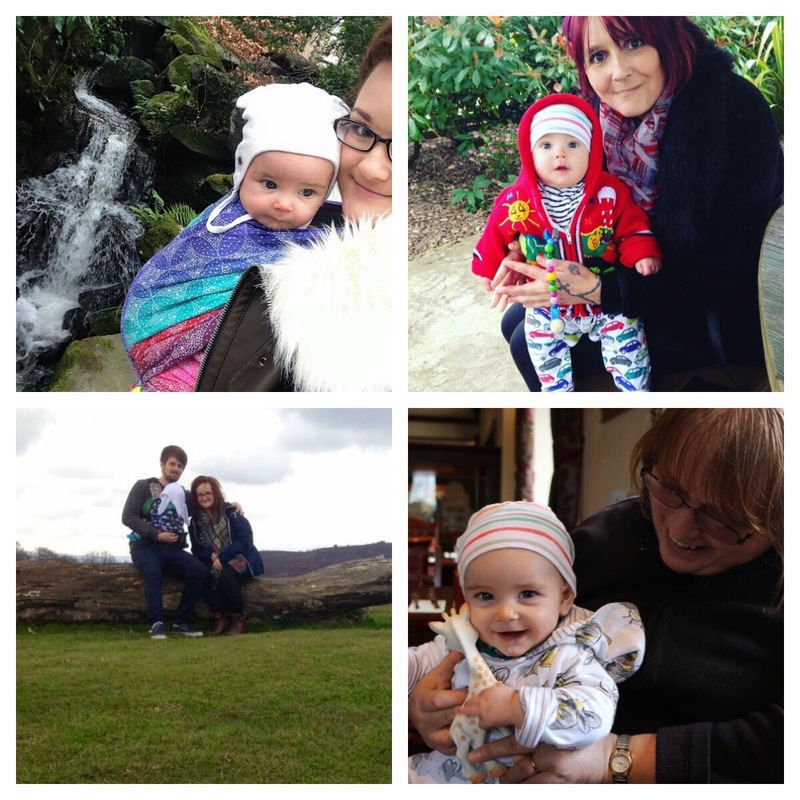 April was Ollie’s birthday and we went to Wentworth garden centre. I love Wentworth, the village and the garden centre is a fantastic place for families and really is a lovely day out, but it is so difficult on public transport! Considering how close it actually is. In a car, it takes around 20 minutes to get there. On Public transport it’s a train and then a bit of a wait for a bus that goes to wentworth. The bus is something like twice an hour (I can’t quite remember) and then a 2 minute walk from the village. It definitely is a bit of a pain and is why, although I love the place, we haven’t been very much. An easier way of getting there is to catch a bus from Elsecar and there are trains once an hour to Elsecar. There’s lots to do in Elsecar, too. That aside; Wentworth Garden Centre is such a great place! 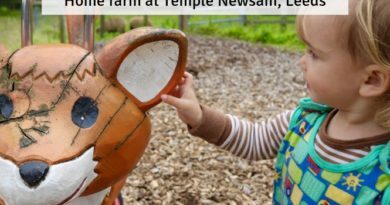 Once there, there’s a little farm with sand pits, play areas and tractors, aquatic centre, maze, lovely gardens with deer and a tearoom. It’s nice to just wander around there; very pleasant! Read my most recent review here. Another highlight was our trip to Filey at the end of April. We booked a very cheap holiday at the blue dolphin Haven holiday park. It was £92 for the week! Self catering and a cold, cheap basic caravan but we couldn’t grumble.it included all activities and swimming for 7 nights. We got the train to Filey which meant changing at Worksop and then a bus from filey train station to the haven holiday park. But it was easy enough; no problems. We ordered groceries to the holiday park seeing as we don’t drive and they came straight to the caravan. There was also a bus that stopped right outside the park that went to Bridlington, Scarborough etc., so we managed a few trips. It was a great time and we were lucky enough to catch some good weather! One of the best highlights for me was a trip in Bridlington on the land train to Sowerby hall. It was a lovely trip, the seaside was very familiar and nostalgic and we are going back to Haven in march 2017. Going into May, I really welcomed the warm weather. I’m a June baby; and I love summer! 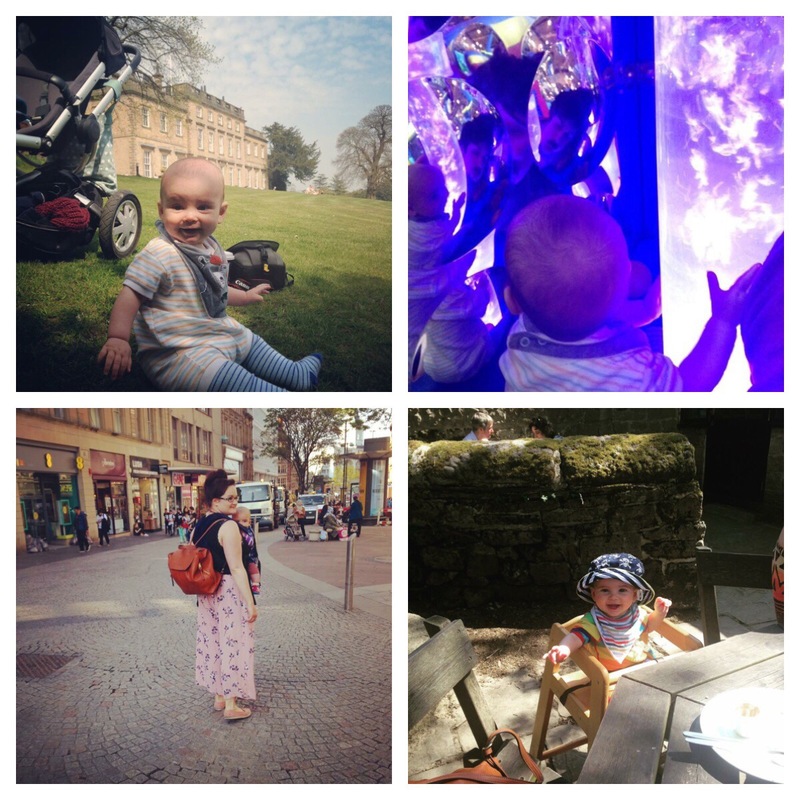 May came with nice weather, we went to Cannon hall museum and farm (including soft play) for the first time and was very impressed. So much to do there. It was nice to walk through town and enjoy the peace gardens in the warmer weather, too! Sheffield is lovely in the summer with the winter gardens and Devonshire Green. We started picnic season with a bang and enjoyed food sat out in the sun at Forge dam, Clifton park and Longshaw Estate. We really love walking from Forge Dam to Endcliffe park through the woods, passing Shepherds wheel and enjoying cafes and play areas on both ends. Clifton park is completely free and has so much to do for all ages with a free museum, water splash, playgrounds, mini golf and more. National Trust Longshaw Estate is one of my favourite places to go on the edge of Sheffield in the Peak District. May into June came along, the end of May we went to the great British food festival at Harewood house in Leeds. Harewood house is lovely! We didn’t manage to go inside the house, we spent the day exploring the grounds and gardens; so much to do including an aviary and book shop. 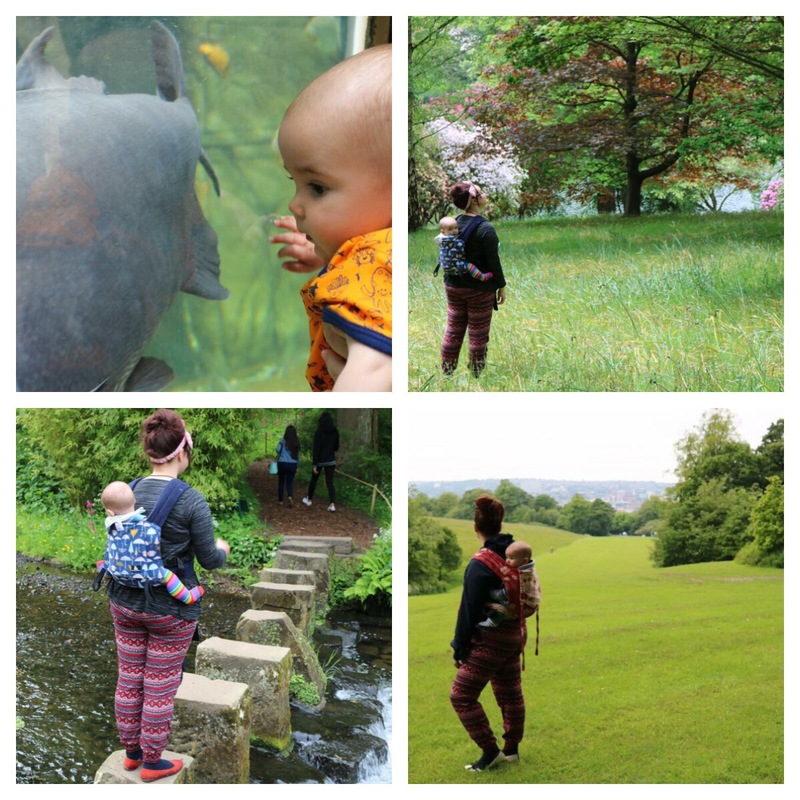 We stayed overnight in an air BnB near Roundhay park, and also went to Tropical world. Read our most recent visit to Tropical World and Roundhay Park here, there’s so much to do there! Tropical world is one of my favourite things to do in Leeds in terms of family attractions. It’s cheap and has an indoor tropical house with animals and a small aquarium. It’s good for wet weather too, it’s really decent for the price. Roundhay Park is HUGE, the largest park in Europe and we love the land train and castle ruins. See this blog for a list of things to do in Leeds! Norfolk park was visited a few times. 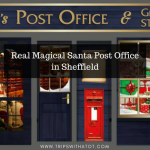 It is a heritage park in Sheffield and has a good resources centre with great cafe. The views are great too. June was a packed full month. We went to Nottingham again! A visit to White post farm was lovely and is one of the best farms we went to this year. We had a lot of fun in the farm and the soft play. Back in the centre of Nottingham, Me and ollie enjoyed a spot of artistic crazy golf at an art gallery: Doug fishbones leisure land golf! That was an experience! We went to the new art exchange and did the museums there. We stayed an an airbnb in Mansfield. We enjoyed a few walks in the countryside, in Hathersage and one of the fondest memories for me was Bolehill quarry. I was organising a lot of meet ups over on my parents group in summer which meant a lot of picnics and fun days at the park with friends! 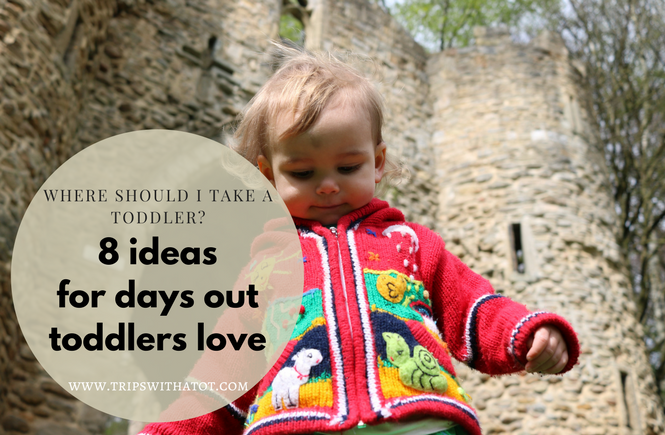 In June, I discovered Friday’s under 5s at Weston park– a group for babies and toddlers with activities that change weekly. We enjoyed messy play, a stroll around the museum and the ducks in the park after. We also started enjoying water fun. 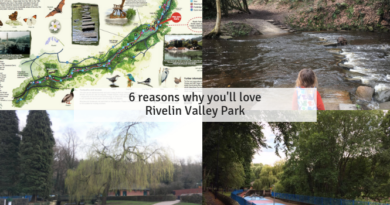 Our favourites being Clifton Park in Rotherham, Millhouses park, Butterfly house and the Peace gardens. 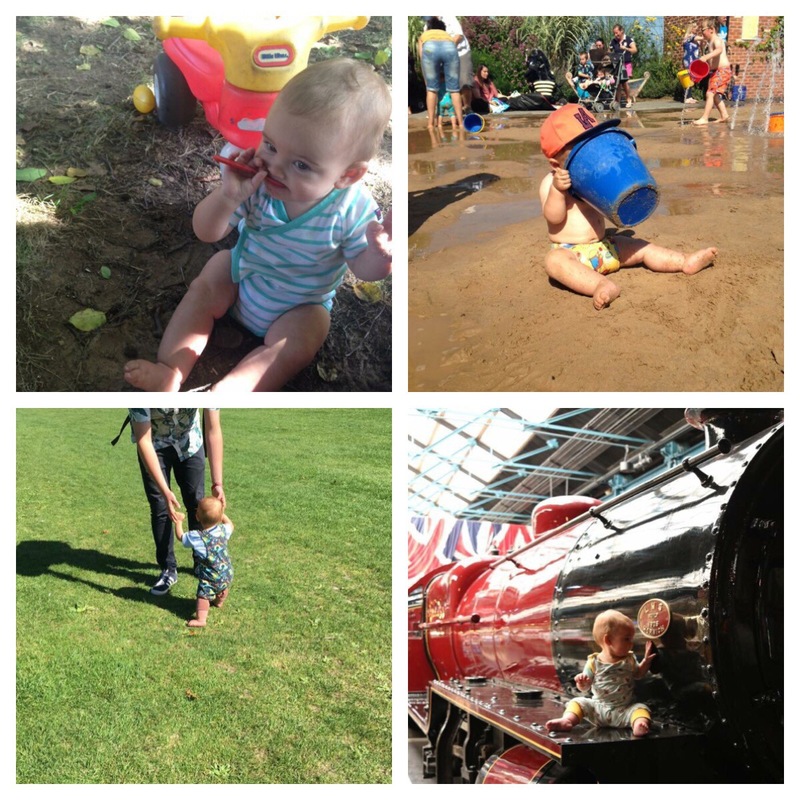 Read this list for more places we love for splash play. For my birthday in June we went to Manchester. We attended a book fair and stayed in a cheap airbnb. We went to a children’s book festival, the Trafford centre & Play factore. In early January we returned & went to SEALife and MSI museum which we loved, you can see a review here. 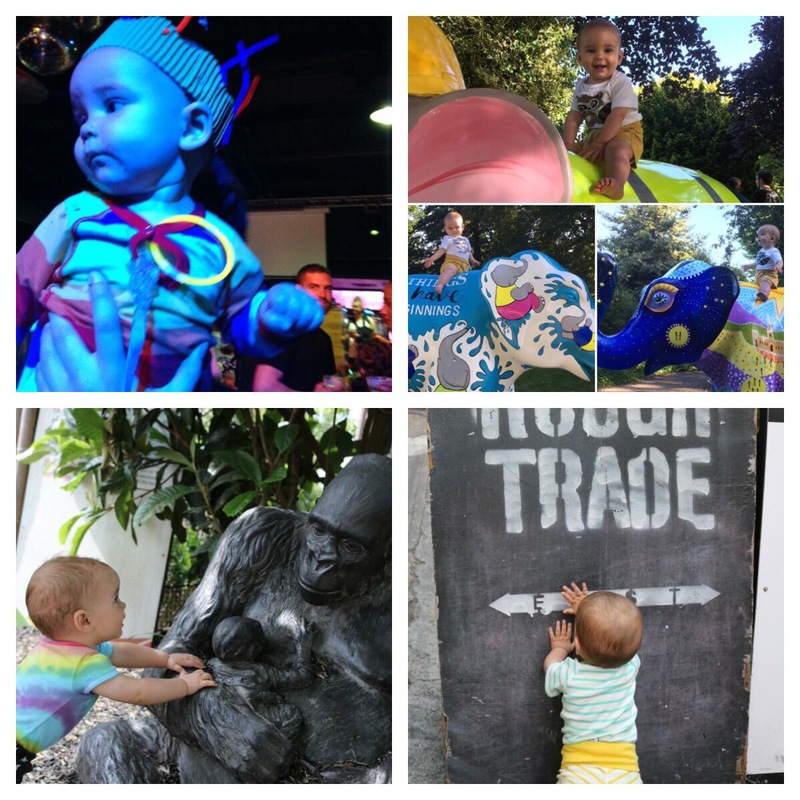 July was full of picnics at various parks and at Chatsworth House with my meet ups group, summer fun in Sheffield with friends, a baby rave, elephant hunting, brutalist playground exhibition at s1 artspace and finished with another trip to London. London was great, we went to London zoo with vouchers and had a fantastic time. We stayed in an airbnb in West Kensington. Eric had changed a lot in age and demand compared to our trip back in February; he was a small baby the first time, and at 9 months old the second time so we had to focus more on entertaining him. He wasn’t a fan of tubes! An absolute highlight of the trip was the basement “the garden” at the science museum. If you have kids, you must go! Free and sensory heaven, water play and musical instruments. We also did shopping, art galleries and parks. I love London. Read my guide here! August brought us some lovely weather perfect for sand and water play. 🙂 A firm favourite place was Chatsworth. It’s always been a place I love, but the adventure playground is fab for kids! Even at Eric’s age; he couldn’t walk when we went, but he enjoyed it a lot. You can see a video tour of that here. I didn’t go in the house or gardens all summer, just the estate walls (free) and farmyard / playgrounds. 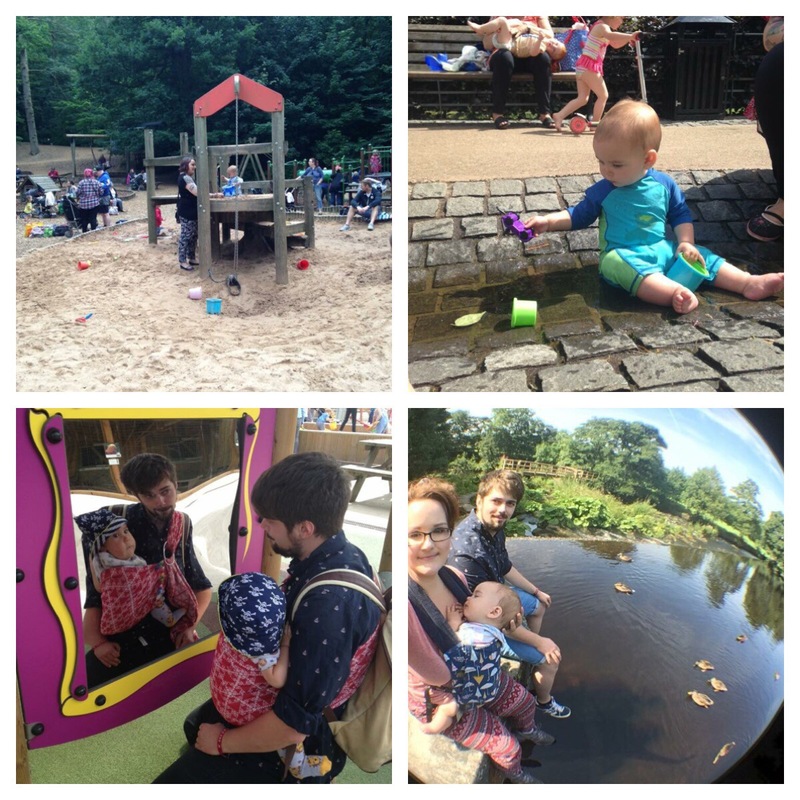 We also loved Millhouses park, Sheffield for water play. Eric was happy enough to sit and paddle as there’s loads of water streams and puddles, there’s a pub down the road, and its local. We enjoyed a nice afternoon with friends there. We went to Wentworth garden centre again, this time with sun hats! We had a lovely walk from Ladybower reservoir to Hope via Bamford and discovered a hidden gem, Bamford mill. Read about that here. You can sit right next to the ducks and the water is up high at the level you sit on the walls next to them. It’s a little oasis. We had lunch just down the road at hope garden centre. Fab walk, and all on bus routes. 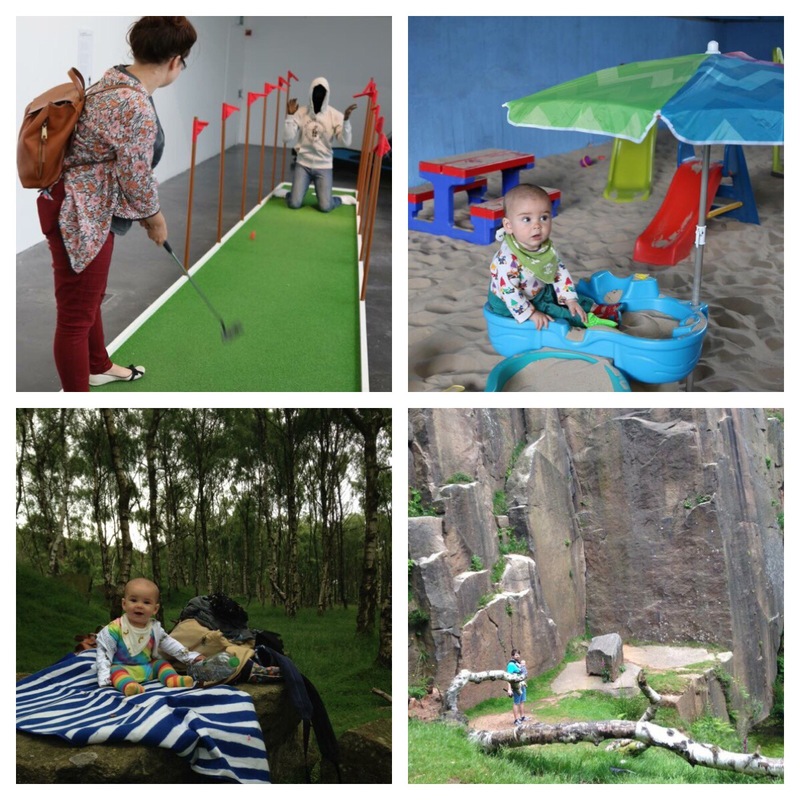 More highlights of August into September: picnics down at padley gorge with friends, lots of parks, me and Eric paddled in the rocks in true British spirit, and a trip with friends to Tropical butterfly house which Eric enjoyed the water and sand area SO much! Into September with a trip to York. We went to the National Railway museum (free and huge) fantastic for all ages, it’s a must see. We did something different and went glamping in York, we stayed in a glamping pod at York cycle Stop . . It was so cute and a really nice experience. We went to creepy crawlies web adventure park in York which is a big soft play centre with a farmyard and lots of playgrounds / water play / sand play, etc. It was really good and I definitely want to go back. For the rest of September we clung onto picnic season! We made use of the weather and went for walks. Here are 6 walks I recommend. We discovered beautiful walks at lodge moor. 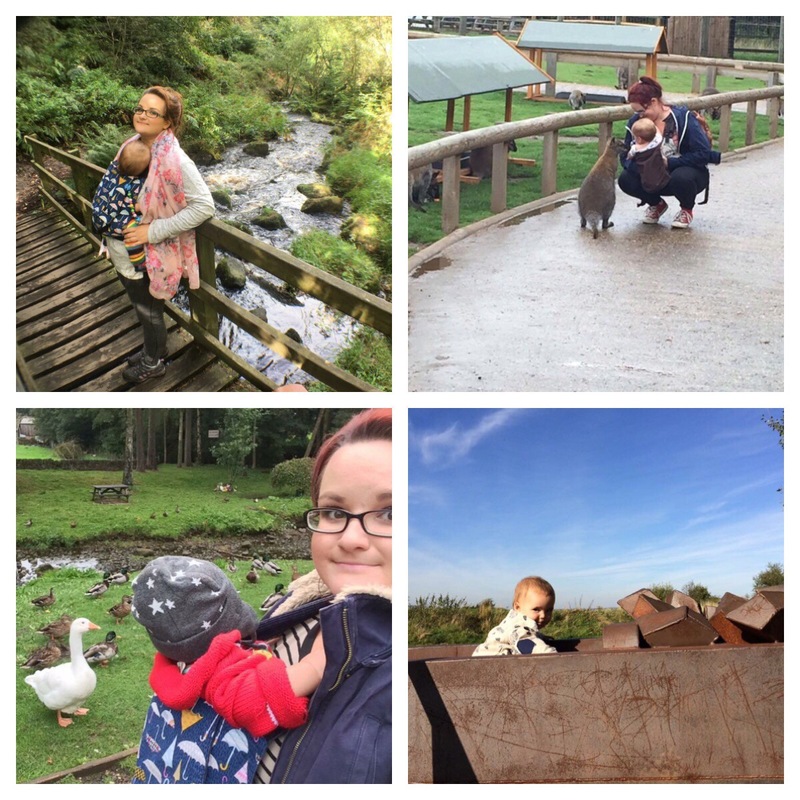 I went back to Yorkshire wildlife park with friends and had a wet but very fun day and walked at Damflask reservoir for the first time. Here is why Damflask is a great place. When I had nothing planned but it was a sunny day I went upto Manor lodge and farm. It’s a free place, lots of space for kids, they put out toys on the lawn, have chickens, a pig, ponies and other small animals, and a fantastic cafe. Up at the ruins there’s some steel sculptures to climb and play with. 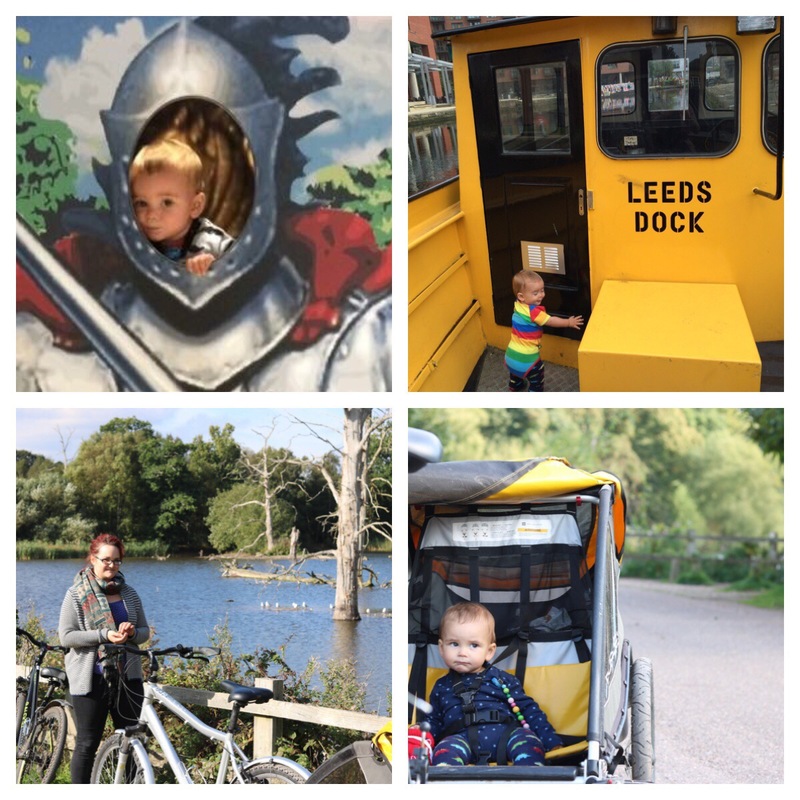 More in September included a day trip to Leeds where we rode the free water taxi to the Royal armouries (and was very disappointed that the play area was shut so check before you go!) followed by another visit to Tropical world in the afternoon. Turning into October we went to Clumber park. I don’t recommend you try to get there by public transport :/ the cycle hire was expensive, too. I will always remember as the definite end of summer as it turned chilly. 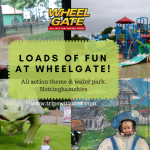 We stayed in Nottingham after a day at Clumber park (Sherwood arrow bus from Worksop) and the second day went to Wheelgate adventure park which we enjoyed so much! It’s a theme park but for little ones. It was very tired looking and run down but we really enjoyed it, there was so much to do for Eric. September turned into October with soft play, including Big Apple in Rotherham. Read why I like it here. The puddle suit came out for muddy walks in the park with friends and me and Ollie went to Heights of Abraham at Matlock. 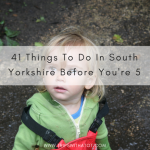 Here is a guide to what to do in Matlock with a toddler. We loved the heights of Abraham and are thinking about getting an annual pass this year! The views are spectacular, we went in a cave, there’s playgrounds, a museum, the cable car ride, a cafe and more. 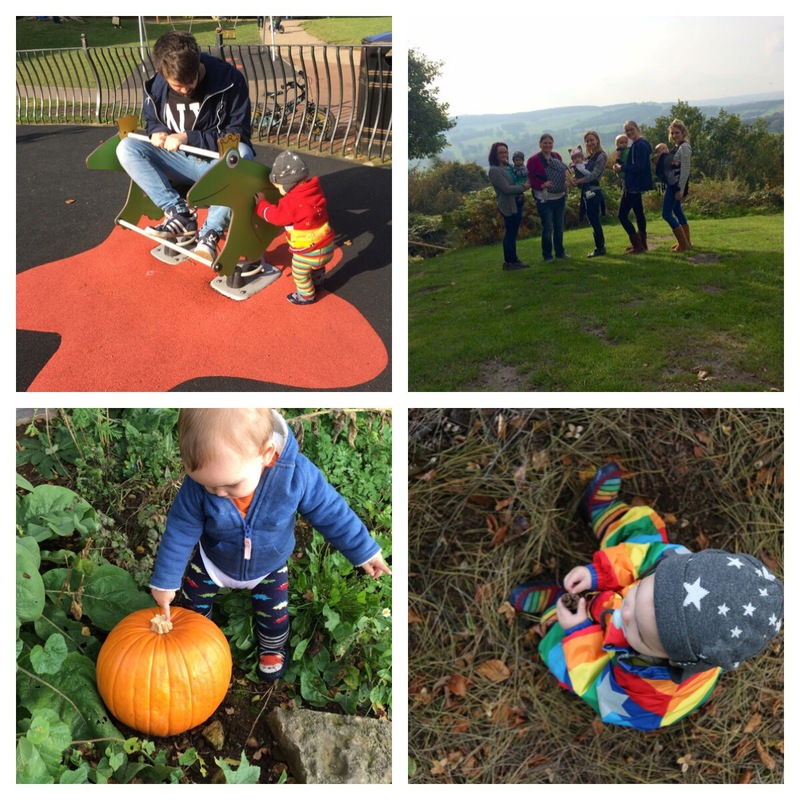 In October we went to Buxton for the day and really enjoyed the pavilion gardens which is beautiful, the playground is very colourful and Ollie went on the land train with Eric. Read about why Pavillion Gardens is a great place for kids here. I went to Chatsworth again for a lovely walk with friends, and me and my mum went to back to the Butterfly house for Halloween! Halloween brings us my sons birthday! And with it a holiday. And our son walking! We went out in the countryside for Eric’s birthday and stayed at Sandybrook country park, in Ashbourne, which is a 5 star log cabin type of place! It was an absolute treat; we have never stayed anywhere so nice before. Read my full review here. The park was so, so nice. We had a lovely cabin with a sauna, right next to the woods. 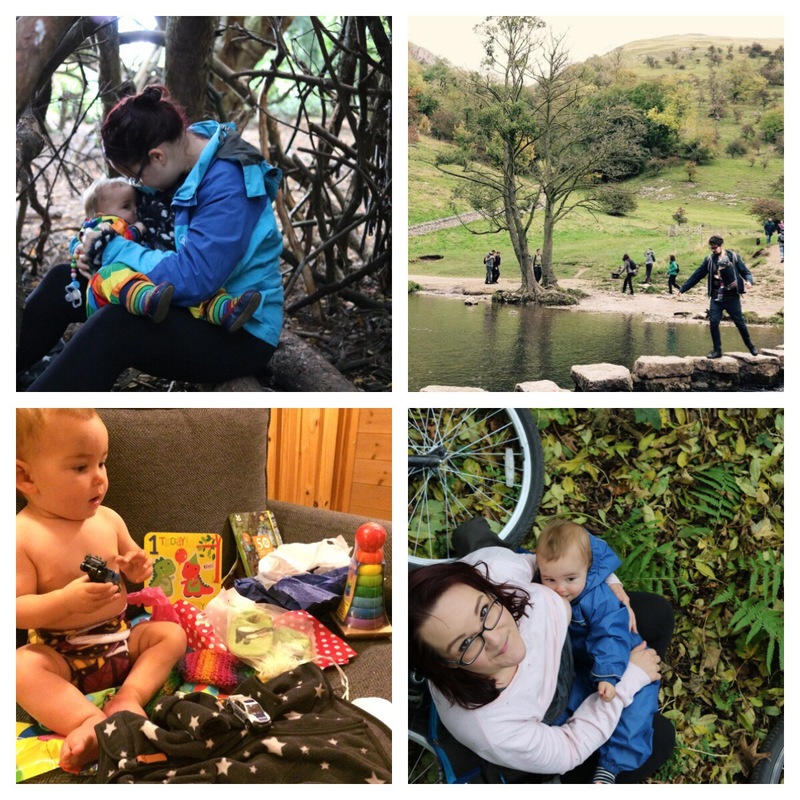 We spent the week relaxing, we went swimming, enjoyed the play cabin, the woods, we cycled the Tissington trail, and we walked all the way from our park to Ilam park via dovedale and back which is about 8 miles! It was definitely in the middle of no where and some would say you need a car but we walked everywhere all week and enjoyed it. When we got back it was November, the feeling of Christmas was upon us. I did some Christmas crafts with friends, we went to Nottingham again and this time went to the castle, the cat cafe (so cute!) and stayed over in a hostel we like (here). We went to Wollaton hall which was wonderful; they had a big natural history museum, gardens, activities for children and playground. It was all free. I really recommend it. November was full of Christmas markets and mulled wine. Another fond memory was the Sheffield Christmas light switch on; we had friends with us and spent the late afternoon / early evening being festival all around town. It was lovely to be part of it as the atmosphere was lovely. November into December meant lots of Christmas meet ups with friends, my group and family. I organised a group trip to Matlock with my Sheffield parents meet up group for Gullivers Kingdom “Christmas spectacular”; it was awful. Bad value for money, food was terrible, most things were closed and a lot of my friends sent a complaint :(. I went to Chatsworth house twice; one for the markers with friends, and another time for the Christmas decorations inside the house with my mum (so beautiful). We went to Matlock on a coach trip and enjoyed the Christmas markets. Very festive! The last trip for Christmas activities was of course, the tropical butterfly house! 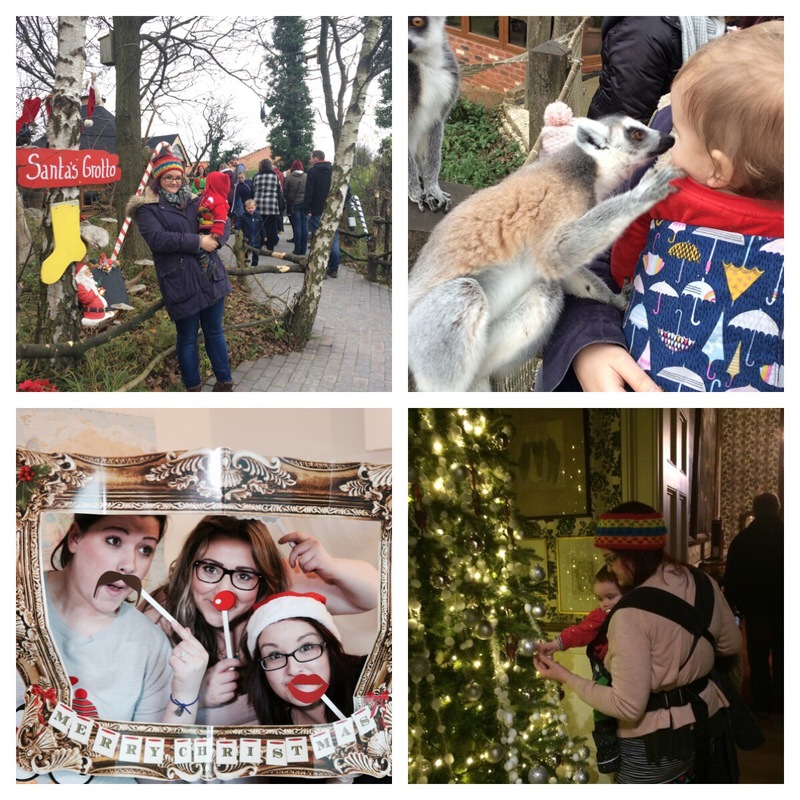 We got kissed by lemurs and saw Santa. It was wonderful and a highlight of the season. Definitely getting a season ticket this year. I did bauble decorating with my group at Aston springs farm (was my review here) and me and Ollie had a chilly walk around Damflask reservoir. And it doesn’t end there. We had a lovely Christmas, the best yet, but was keen to go out again! January started with a bang with Elsecar, Leeds and Eureka! and many more to come this year. I hope you wee able to get some good ideas! Let’s hope this year is just as adventurous. Thank you for reading! Brilliant post, you’ve really inspired me as I always think we can’t go many places as we don’t drive. I’d be interested to see a breakdown of some of your trips by cost too (including transport) ? OMG what a year! Absolutely love this idea of sharing a round up of your year month by month – such beautiful family photos to go with it as well. You’re definitely more organised than me! Beautiful collection of photos! I have to say of all places you visit Wentworth post office really drew me in, it looks so pretty! wow there are so many fabulous things to do and you certainly packed a lot into 2016! I love the idea of a recap in snapshots! You have some beautiful pictures and seem to have had really great and adventurous year! 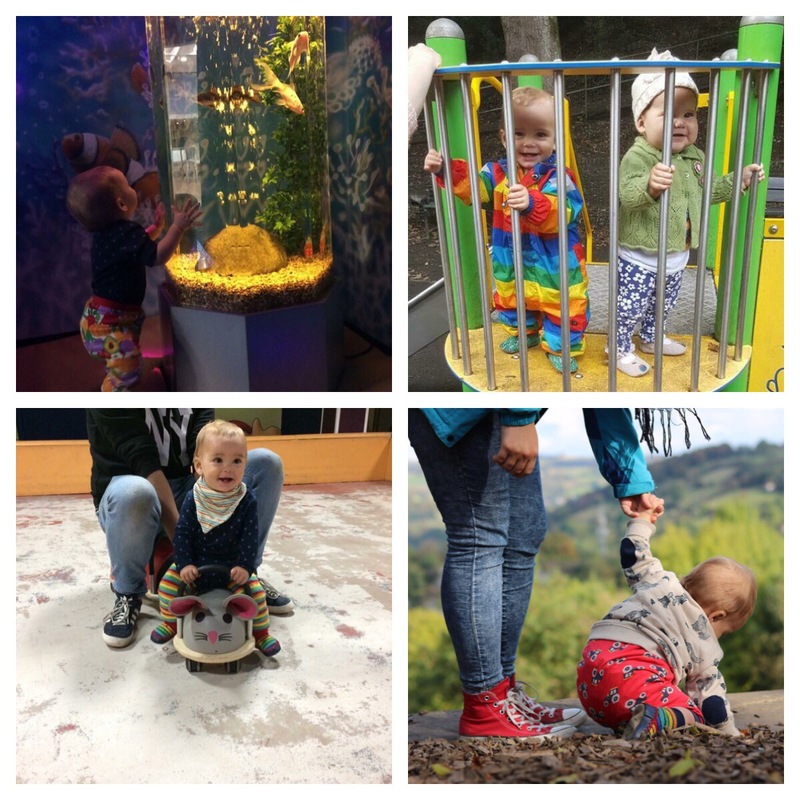 Copyright © 2019 Trips with a tot | Sheffield Family Days Out Blogger. All rights reserved.